Trama: Eom, ex agente segreto della Corea del Nord, viene incaricato di uccidere due uomini che stanno pianificando un colpo di stato. Prima che possa agire un manipolo di soldati attua il golpe ma Eom riesce a salvare il leader nordcoreano. Nel frattempo Kwak, capo degli affari interni della Corea del Sud, apprende del colpo di stato e che il leader nordcoreano è a Seoul. Un film che con il vocabolario dell’action racconta un paese in perenne contrasto tra timori e speranze di un nuovo inizio. 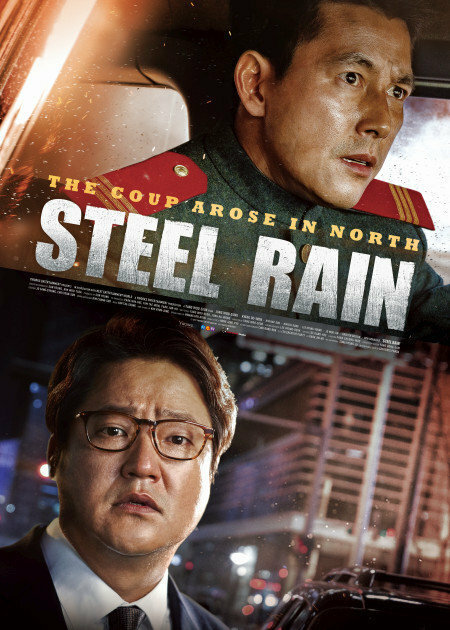 Eom, a former North Korean secret agent, is tasked with killing two men who are planning a coup. Before he has time to complete his mission, a handful of soldiers carry out the coup, but Eom manages to save the North Korean leader. Meanwhile, Kwak, head of internal affairs of South Korea, learns about the coup and discovers that the North Korean leader is in Seoul. A film that uses action movie language to speak about a country in constant conflict, torn between fears and hopes for a new beginning.